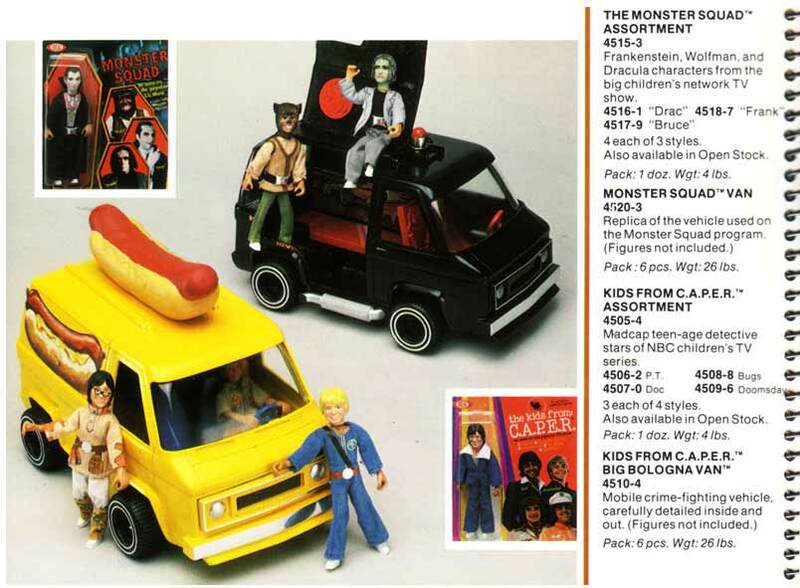 This rare catalog page shows that Ideal was planning a line of figures based on the Saturday morning live action series Monster Squad and the The kids from C.A.P.E.R. Monster Squad was the tale of Nightwatchman/Criminologist (a pre Loveboat Fred Grandy) who fought crime with the help of his "Monster Squad" which included Dracula, Bruce W Wolf and Frank N Stein. The show looked and felt a great deal like the 60's Batman series with the Monsters subbing for the Dynamic Duo.